We fell in love 3 years ago, it was new it was exciting and for me it was very real! I had been in relationships before but they all lasted every bit of two weeks then I'd move on. I guess you could say I was afraid of commitment.. I don't know my reasoning but that sounds about right. Being such good friends before even considering the idea of dating, once we finally did I never dreamed we would have the problems we did/do. I thought we knew each other inside and out but I guess you only really know what they want you to. I was never one to put up with much drama or fight, before her I had no problem falling off the face of the earth and never speaking to someone again. We fought daily over ridiculous stuff, I'd spend all day trying to make things right but nothing would work. Then come night time she'd be sweet and want to work things out. Don't get me wrong I'm no angel but I'm no devil either. Nothing ever added up, I didn't understand why she was always pissed. It's like the deeper we got into our relationship the more imprisoned I became. I wasn't allowed to hang with friends, I wasn't allowed to get dressed up, I wasn't allowed to do anything that was once a daily routine. But I loved her so much I changed myself to what she wanted. I started smoking weed with her( don't have a problem with it) but it's just something I would never have done. I stopped speaking to my family, mind you we were very close, but I never realized she was pulling me away from all I had ever known... and I was allowing it. I thought the world of her when I fell in love with this woman she was young but very responsible she was top dog at our facility and only in her early 20s, she had a nice car, nice house and a huge heart!!! She was goal oriented and going places. But that quickly changed and all along I thought it was me, I thought I was bad for her so I would try and leave but she'd convince me otherwise. I never wanted to leave I depended on her and before I was very independent, but I honestly thought I couldn't do anything without her. Hell, we even sold my car and the furniture I had before her and I got on her phone plan everything I had was tied to her. I paid the bills and all the bills other than the phone and car were in my name. I don't know why we had to sell anything we were doing really well buying a house, bills were ahead a month but we did we sold everything. I started noticing her picking at her face about a year ago, growing up around meth you'd think I would've picked up on the signs a lot sooner. I asked her about her face but she said they were in grown hairs AND I BELIEVED HER! She had the mood swings and what not but I honestly just thought she was bipolar. We somehow got out of buying the house out in the country and ended up moving 7 more times. Towards the end we were in the process of adopting a 12 year old boy with junkie parents. Me and him became very close I got off work at 10pm and we would stay up and do his homework. She got off around 2pm but says she wasn't good at class work. It's now November 2015 we have a water leak and hire a plumber, he shows up drunk and high but he clicks with my girl. He starts coming over to do odd jobs while I was at work. I didn't think too much of it because I trusted her. One day I come home from work and ask Thomas (my son) where she was.. he said she hasn't been home all day. Well, she never came home. She ran off with the plumber I packed her stuff and dropped it off at the house she eventually came back to the house and took everything but my son's bed. I would text her and call and try to figure out why she ran off with this bum. I'd beg her to come back, I'd try to get her to give our kid a ride to school but she wouldn't answer. Me and Thomas made it work with no vehicle and no furniture and nobody. But one day the case worker came and took him. His parents were doing better and wanted their son back. So he was gone the next week. I went crazy, I had lost my world at that point. All I cared about was gone. She would contact me and tell me she loved me but would then block me. One day I woke up and it's like everything clicked with me, shes doing dope with the plumber. I eventually got the opportunity to confront her about it and she denied it, but I did notice a dramatic change in her weight. After about a month of me trying to figure out what was going on I stopped all contact with her. A week later she came and found me, she came clean about everything (I thought). She admitted to cheating, she admitted to "trying meth" twice but that was it. A week later she fussed up a little more, now she's been smoking dope for two months mind you it is now February 2016. A week after that we are riding around and she says she has a craving. When we got home (BTW we are now working things out) she points to a pencil bag she carries with her everywhere and says open it. In it I found a pipe, a rag, a straw, a lighter and meth. I try to be ok with is I try to be ok with her smoking meth because I love her and I wanted to keep her, until the night her and her "roommate" (a married man and major crackhead) smoked meth on the couch with me right there. I got up and went to bed without a word. The next day I go to work and she text me and says me and Donald... the roommate... are gonna go in halves on some that will last a long long time. When I get home the drug dealer is at the house I left because I couldn't be around that. Everything hit me that night, I just know too much about what all she's done to be with her. She's slept with two other people, she's now on drugs, she has lost 70 lbs in 4 months, she left me with ALL of the bills, shut my phone off, claimed my kid on the taxes and didn't give me a damn, didn't leave me a single piece of furniture, hit me, belittled me, tore me down our whole relationship, cheated on me, lied to me, and chose dope over me! ... Why in the world did I even consider getting back with her? So I didn't speak to her for a week which for us was quite impressive, well she finds me again. And like the idiot I am I got sucked back into her stuff. We make plans for breakfast, but they fell through, we then made plans for lunch, but she had somewhere to be, we then made plans for dinner, but she had to work. Right before time for her to be at work she came and saw me we rode around for 15 minutes and the whole time she bitched at me for getting a new job. When she dropped me off I said goodbye and I guess she read between the lines because she started crying and said please don't do this... I just walked away. At that point I was sick and tired of being second choice to dope! A freaking drug that destroyed my childhood and I'd be damned if it was gonna do any more damage to me. She called and texted for a couple days and I just ignored her. At some point we tried working things out it lasted a whole day before she said SHE JUST COULDN'T TRUST ME AT MY NEW JOB! I found that kinda funny. She'd text me once a week trying to get back together but I just can't be with her while she on dope. She's now dating her roommate and screwing other men for free dope and weed, she's lost 30 more lbs, has sores all over her face, she's about to lose her job, the cops are watching her, her roommate/boyfriend/ married man and father is now a jobless drug dealer. But I still love her and hope that one day the Shae I fell in love with comes back. But I doubt that will ever happen. She's been in two relationships with me and its like I'm the little toy she puts on a shelf when she's done playing with it. But heaven forbid anyone else play with me, she loses her mind if I talk to someone else. 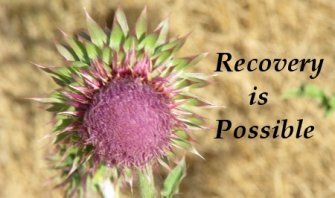 Start going to Al-anon to learn how to help end addiction. You do seem to know a lot about what you're dealing with, but it also seems to be a pattern that has been repeated in your life. Sadly, often someone whose has an alcoholic parent marries an alcoholic. The pattern repeats itself over and over. You had meth issues in your childhood and now you chosen to love a meth addict? From the brief amount you've said, the influence of meth on your childhood is the part that stands out to me the most. You couldn't have a relationship for more than two weeks until you met this woman? Why? She has TOTALLY mistreated you but you can't get away from her? For me there are two issues, the first is about you, why do you stay in a relationship where you are continually controlled and mistreated? The second question is can you help her with her addiction, but not continue in a relationship which is so obviously bad for you? By going to Al-anon and working the 12 steps you can hopefully begin to answer both of these questions. Your goal has got to be figuring out how to have a healthy, productive relationship with an appropriate person for more than two weeks. Your second goal is to figure how to help Shae, if possible, without reentering a dysfunctional relationship, which is likely harmful to both of you. Going to Al-anon meetings and working the steps is the only way I know of to figure out what you need to do to help yourself and also what you can do to help her.